The present invention is a fire protection system which can be mounted on any uneven or odd shaped surface of a roof without requiring any additional mounting apparatus. 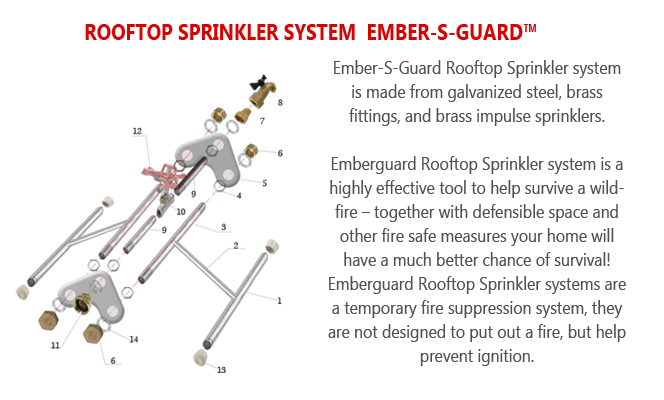 The fire protection system has a plurality of sprinkler assemblies connected together in series. 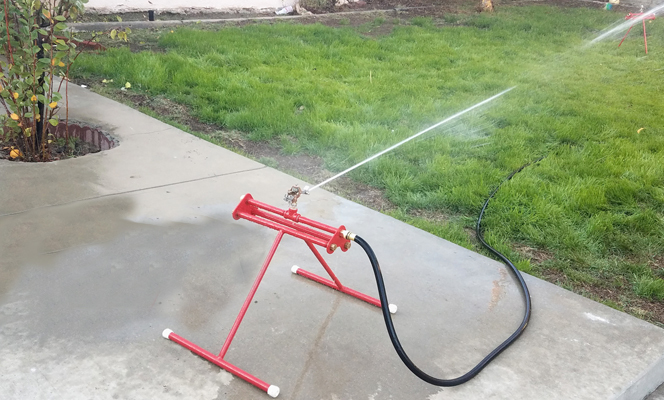 Each sprinkler assembly has a water manifold pipe, a pair of H-shaped supports, and a sprinkler head connected to the water manifold pipe. 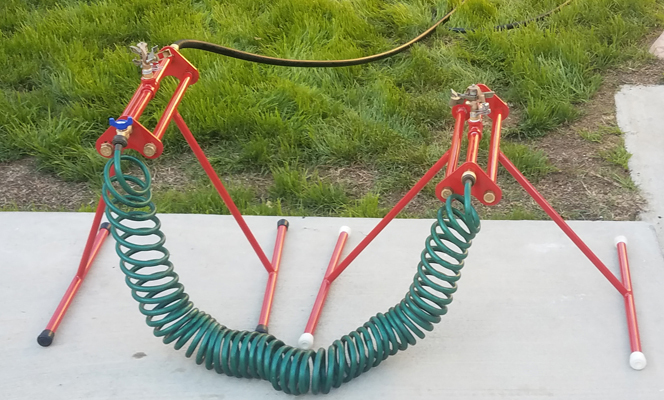 Each H-shaped support has a pair of legs with support TRIANGLE plate affixed to upper ends of the legs for pivotally connecting the H-shaped supports to the water manifold pipe. 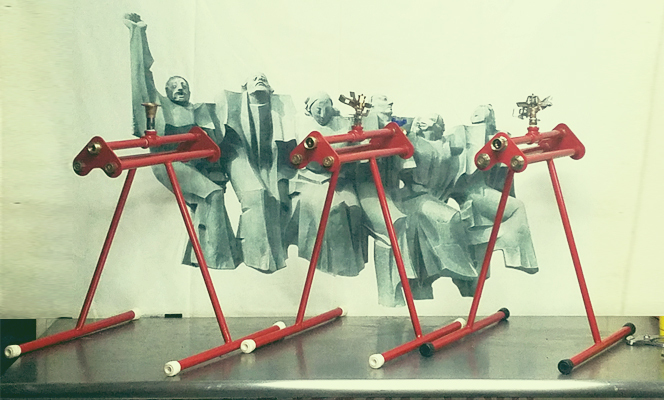 The manifold pipe extends through manifold triangular plate affixed thereto. Locking hex nuts extends through respective plat slots formed in the triangular plate of the H-shaped supports and the for locking the H-shaped supports in a selected pivotal angle of adjustment(180 degree for each leg). During use, the support legs of the front and rear H-shaped supports are supported by front and rear roof sections of a house with the apex of the roof extending between the pair of H-shaped supports. also it can be easily mounted on the rails of the fence, or any uneven or odd shaped surface of a roof without requiring any additional mounting apparatus. 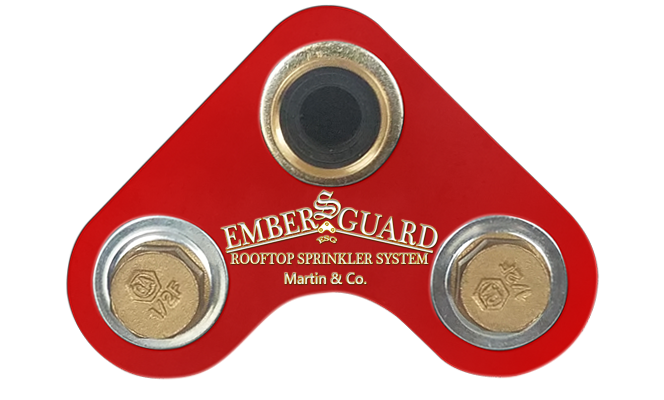 Rooftop Sprinklers - One Link of many in the "chain of wildfire survival"
Embers-guard Rooftop Sprinkler system is a highly effective tool to help survive a wildfire – together with defensible space and other fire safe measures your home will have a much better chance of survival! 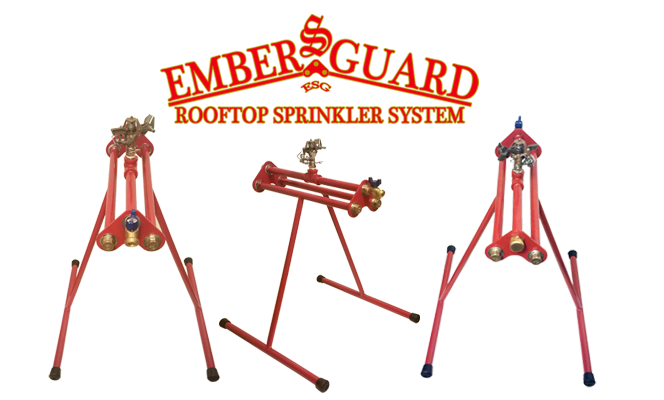 Ember-S-Guard Rooftop Sprinkler systems are a temporary fire suppression system, they are not designed to put out a fire, but help prevent ignition.